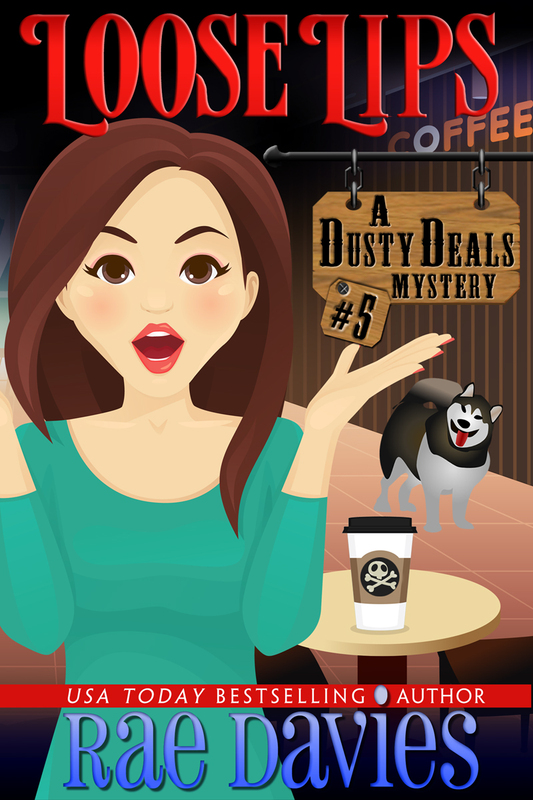 Loose Lips, Book 5 in the Dusty Deals Mystery series available now! This time Lucy’s friend, Joe, owner of Cuppa Joe’s, gets some new competition and Lucy sets out to help him recover his lost business. Of course, things are never that simple. Phyllis and a set of do-gooding ladies are sure that Joe’s competition, a coffee kiosk, is up to a lot more than brewing coffee and are doing their best to stop them. Kiska is… Kiska. And Lucy once again finds herself on the wrong side of the Deere family. Then there’s the sesquicentennial and the window decorating contest that Lucy must win if she doesn’t want her parents staying with her when they visit this summer. And, she doesn’t. Oh, and, of course, during all of this, someone dies and more than one of Lucy’s friends is at the top of the suspect list. Google Play | Kobo | Barnes & Noble. Find me on Facebook, Twitter or Pinterest! I love to connect with other book fans!